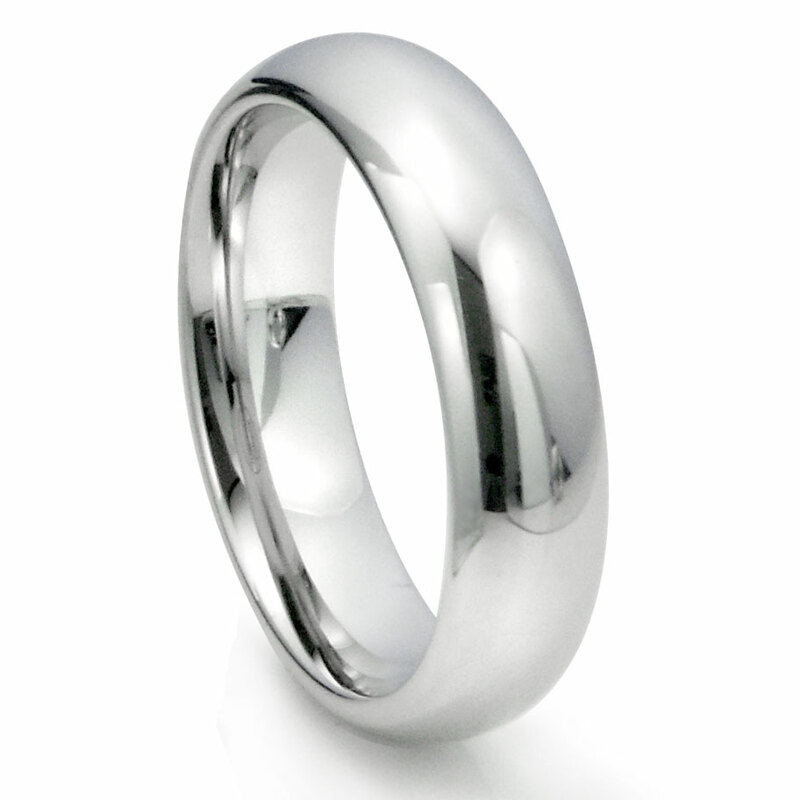 The most classic and popular wedding band style is now available in white tungsten. Its timeless simplicity is combined with the durability of tungsten and the premium color of white gold. The whole ring is of high polish glossy finish and it has a comfort fitting. Made in 6 millimeter width that suits men and women. See here for a matching 8MM matching ring. Looks like Platinum, does not scratch. I bought this ring as a surprise Christmas present for my husband. He had lost the white gold band he had when we got married 7 years ago. This man never takes off his ring and has been upset with himself since it happened. We had bought several titanium/tungsten rings as a replacement but I wanted one that looked like his original band. Plus, with him being a pipefitter, safety is importent too. I went with this white tungsten band as it is very shiny and lighter in color so would look like his white gold band!! I made the puchase, paid for expedited shipping so it would arrive before Christmas and waited to see if it would look as good in person as it did online. I got it on time and opened the box. Wow, it was so pretty and shiny and also had a good amount of weight to it which felt great!!!! He opened his gift and he LOVED the ring! It fit perfectly! Thank you so much for such a quality product! You exceeded my hopes and expectations! I will definitely refer people to your website and give you the great reviews you deserve! I will probably be a repeat customer as I plan to see what other jewelry you carry LOL!! Thank you for your quality product and your fast turnaround time!! !